Weatherford’s new Rotaflex long-stroke pumping unit improves artificial lift efficiency. US oilfield service company, Weatherford International, has announced the release of its new Rotaflex long-stroke pumping unit. 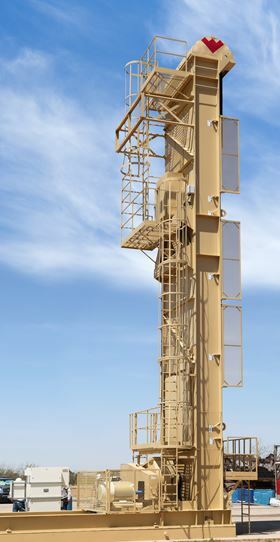 The company says that the new unit improves artificial lift efficiency in challenging applications including deep, high-volume and high gas-to-liquids wells. It reduces lifting costs and accelerates the transition to high-performance rod-lift. The units apply long pump strokes of up to 36.5 ft which allows more time for fluids to enter the pump intake before being lifted to surface. By delivering fewer strokes per barrel at a constant velocity, Weatherford says that the Rotaflex design increases equipment run life, mitigates downhole failures and decreases deferred production. The latest version of the Rotaflex unit adds features that improve lift efficiency, including a purpose-built 350-series gear reducer and enhanced top drum. The unit also includes a built-in rollback system, greater accessibility, an enhanced lubrication system and a revised ladder system. Kyle Chapman, president of Production at Weatherford, said, “For decades, our customers have relied on Rotaflex pumping units to quickly transition from short-term, early lift methods to high-performance rod-lift systems.” He added that customers’ input had helped the company make the units more effective.